A comprehensive list of reasons to defeat Obama. Update: “President Barack Obama is tired of waiting for Congress to move on legislation to reduce carbon emissions, and his administration is poised to move forward on actions to do just that—including a move that will effectively eliminate the possibility of any new coal plant opening in the United States, experts say.” So, not only is Obama once again acting unilaterally and trashing the separation of powers– but he’s also following through on his promise to destroy the coal industry. Obama is going to tell you how to run your home. Obama Administration: more of the same. Obama enjoys spending American taxpayers’ money on frivolous luxuries and vacations. He refuses to enforce U.S. immigration laws (which is unconstitutional, since his job is to serve as the head of the executive branch of government). So, what’s Obama’s next move? At a cost of $1.6 million, he’s going to fly to Las Vegas for 3 hours just so he can give an immigration speech. This should ring a bell– he flew all the way to Norway to accept a “Nobel Peace Prize” (which is laughable, when he’s been launching drone strikes, fighting in Afghanistan, attacking Libya, etc. ), and Michelle Obama insists on wasting hundreds of thousands of taxpayer dollars by taking separate vacations. It turns out that Obama and his family cost American taxpayers $1.4 billion per year– that’s 20 times more expensive than the British Royal Family. It’s obvious that Obama regards himself as American Royalty, and has no respect for Americans’ hard-earned dollars. Obama’s second inauguration misrepresented the effect of his policies and gave his ego a false boost. He ignored millions of unemployed Americans… thousands of American troops in harm’s way because Obama had no military or foreign policy experience… military heroes who feel betrayed by Obama… skyrocketing healthcare costs for American families under Obamacare… $50,521 owed by each American household after Obama’s out-of-control government spending… the most extreme divisiveness and partisanship in America since the Civil War… abandoned Hurricane Sandy victims… dead American diplomats in Libya and dead American hostages in Algeria… and the list goes on. In their place, Obama put 8 ‘citizen representatives’ on stage to speak about how their lives were “improved” under Obama’s first term. Who were these ‘citizen representatives’? “Ida Edwards of Petersburg, Va,” a civil rights advocate– but Obama is openly racist, and actually invited a racist preacher to give the benediction during his inauguration. “Lily Griego of Denver,” who said she was able to attend college because of government funding– of course, her household now owes $50,521 to the government thanks to Obama. “Kenyetta Jones of Toledo, Ohio,” who kept her job because of an auto bailout– which cost taxpayers billions of dollars. “Liz McCartney of New Orleans,” who helped rebuild after Hurricane Katrina– yet, Obama’s response to Hurricane Sandy was worse than Bush’s response to Hurricane Katrina. “Rob Hach of Alta, Iowa,” who started a green energy business– Obama spent billions of taxpayer dollars on “green” companies that he believed would support him politically, and the result was the Solyndra scandal and multiple bankruptcies. “David Hall of Washington,” who is pro-gay rights– while Obama is both pro-gay rights AND anti-gay rights, as a political convenience. “Petty Officer 2nd Class Taylor Morris of Joint Base Charleston, S.C.,” who served in Afghanistan– where it’s now so dangerous and unstable that Obama’s afraid to visit. And to top it all off, it was a fake inauguration. As usual with Obama, it’s all about show. Obama’s ego knows no bounds. Obama is so deluded about himself that he’s taking the Oath of Office on Abraham Lincoln’s and Martin Luther King, Jr.’s Bibles at his fake inauguration ceremony. Despite a record number of needy families, Obama wastes $100 million on a fake inauguration ceremony. The Salvation Army has reported a record number of families that need financial assistance this year. Meanwhile, Obama insensitively plans to waste $100 million of taxpayer money on a FAKE public “inauguration ceremony”— while his real inauguration ceremony takes place privately indoors. Obama supporters taken in by the Obama cult of personality: Chanting “Hail Obama” at an Obama campaign rally. King Obama obviously approves. Obama clarifies his feelings about the United States of America. 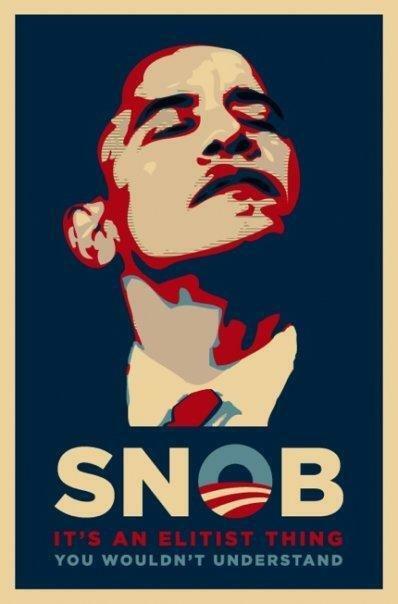 No, Obama can’t get any more narcissistic, conceited, ego-centric, self-absorbed, elitist, or unpatriotic. He avoids responsibility for his failings (bad economy, etc. ), and takes credit for other Americans’ successes (killing bin Laden, etc.). 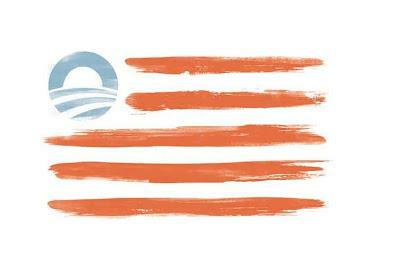 Obama believes that his own cult of personality is greater than American values. Please visit our new website at http://obamarageous.com/ for the latest Obama-rageous entries.